"I wasn't sure if I wanted to hear such a big secret. It might not fit in my head and then it would spill out everywhere." A Head Full of Ghosts begins as many horror stories do. The Barrett family is a pretty normal group. Mom, Dad, and sisters Marjorie and Merry live a peaceful life in their suburban home. Things change when older sister Marjorie begins to exhibit odd behavior. The doctors and specialists can't seem to find a medical explanation for her condition. Dad turns to the church and becomes convinced that Marjorie is possessed by a demon. Given their unusual circumstance, the Barrett family does what any American family would do. They cash in on their troubles by allowing a television crew to film their life and attempts at exorcism for a reality show. What ensues is the tragic erosion of a once happy family. The parents don't agree on how to approach treatment for Marjorie, Merry is ignored by the rest of her family, and Marjorie is pushed to physical and emotional limits. Is the girl truly possessed, or is the Barrett family merely enacting a hoax for financial gain? A Head Full of Ghosts is a refreshing addition to the horror genre. 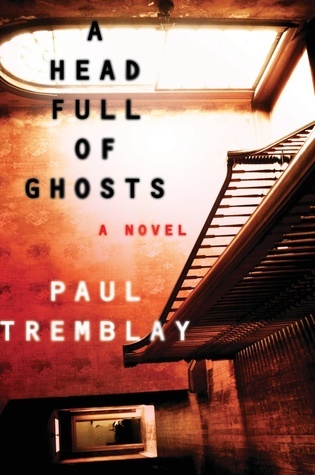 Paul Tremblay writes with a self-awareness that gives an original perspective to an otherwise familiar story. Tremblay clearly has an extensive knowledge and appreciation for all things horror. There is nothing overtly shocking or gory about this book. Rather, the story unfolds with a slow build that gives just enough suspense to keep us hanging onto every word. I like my horror stories to make me think and fill with dread. By that mark, A Head Full of Ghosts is an excellent novel that will leave you with an anxious paranoia of every little bump in the night. "All people everywhere, rich or poor, skinny or fat, are animals. Looking for a fight. Looking to turn everyone against the weakest. Who is Lola? Dad was never in the picture and Mom was a drug addict who exchanged young Lola's body for her latest fix. Lola quickly grew a thick skin and acclimated to life in the underbelly of Los Angeles. Now she is the girlfriend of Garcia, the apparent leader of the drug running gang the Crenshaw Six. Trouble arises when cartel leaders task the gang with infiltrating a drop from a local competitor. Success will give the gang a higher status within the cartel. As further motivation, the cartel leader gives Garcia an ultimatum. Complete the interception or they will take away the one thing that matters most to Garcia. . . Lola's life. Unbeknownst to the cartel, Garcia is not the one calling the shots. It is actually Lola, the woman they dismissed as mere collateral, who covertly oversees the Crenshaw Six. When Carlos, a former lover and the leader of the gang, began to selfishly keep money for himself instead of sharing with the other gang members, Lola murdered him and took the reigns of the group. Clearly, Lola is no traditional damsel in distress! Relying on her intellect and cold-blooded instincts, Lola goes head to head with some of the most ruthless men in the drug circle to advance the mission of the Crenshaw Six and save her own life. As the main story of besting the cartel unfolds, Lola also finds herself in a situation that is even more personal than saving her life. Lola harbors five-year-old Lucy whose early life mirrors her own. Lucy's mother is an addict who pimps the young girl to her boyfriend. Her parents are good people who try to give their granddaughter some kind of reprieve, but their landlord happens to be the father of their daughter's boyfriend. Their fear of eviction renders them silent against the horrors young Lucy faces. Determined to save Lucy from the life that Lola was forced to live, she takes on the young girl as her own. Even as Lola's entire world seems to be crashing in around her, she refuses to allow Lucy to return to the mistreatment of her home. 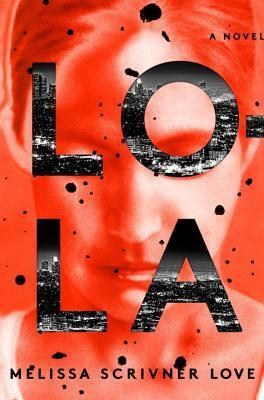 In Lola, author Melissa Scrivner Love writes a thriller that contains the suspense, character development, and creativity of a seasoned veteran. The title says it all. This book is completely devoted to Lola and the people she surrounds herself with. Lola precariously balances on the edge of what is right and wrong. On the one hand, she conducts her business with a strict moral code. Lola cares deeply about her community and her gang members. At the same time, she is not afraid to get her hands dirty when the situation requires it, even if that means sacrificing personal loyalties. By having a woman be the leader of a gang in a predominately male industry, the author gives a unique perspective to what could easily have been a straight-forward drug thriller. Melissa Scrivner Love writes with an assured sense of place and voice that makes her a definite author to watch in the future. Lola is a solidly competent debut that I thoroughly enjoyed. The Alex Cross series by prolific author James Patterson has remained a consistent favorite of mine over the years. It has become a kind of tradition that I get the copy of the latest installment as a Christmas gift. As expected, I was gifted a copy of the latest novel Cross the Line this past holiday. I opened the pages of the book and was faced with a shocking realization. Somehow, I had missed the previous novel, Cross Justice! I raced to my bookshelf, and there it sat. I definitely remember opening it as a gift the year before, but for some reason I never got around to reading it. And so before reading and reviewing the latest novel, I present my review of Cross Justice a year later than expected. Cross Justice finds Alex and his family heading to Starksville, North Carolina. Alex and his elderly grandmother Nana Mama are particularly anxious about returning to the town they once called home. Violence and drug addiction were motivating factors in the pair moving to Washington D.C. many years ago. They haven't returned to the town since that move, but now the family needs help. Alex's cousin Stefan is in prison awaiting trial for the brutal murder of one of his students. Despite the damning amount of evidence to the contrary, Stefan maintains his innocence. 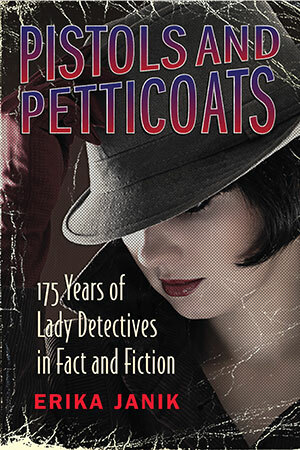 At the urging of his niece Naomi Cross, a lawyer who fans of the series may remember from her part in the novel Kiss the Girls, Alex has come to lend his investigative prowess and clout. As he digs deeper into the odd circumstances of the murder, he finds more than he ever imagined . . . secrets of his own disturbing past. 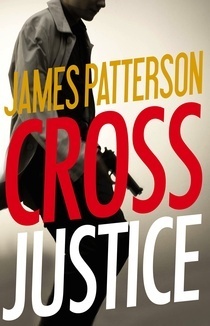 Cross Justice, the twenty-third novel in the Alex Cross series, has all the trademarks of a James Patterson thriller. Short chapters and non-stop action make the book a quick and easy read. I've always noted the focus on family life and character development as one of the reasons I enjoy the Alex Cross series. In this case, I'm afraid we have too much of a good thing. The novel spends so much time focussing on the drama of the Cross family, that it distracts from the main mystery. There is even a subplot about a male killer who dresses as a woman to commit his crimes that seems to only exist to pad the book. We gain a much deeper insight into Cross's backstory, but a rushed resolution and hokey emotional ending make Cross Justice into one of the weaker installments in the series. That being said, I'll always be a fan of the series and look forward to as many Alex Cross novels as James Patterson can produce. "What do you call it when someone can't tell the difference between what's real and what's not real?" Dustin Tillman's life is in a crisis. The sudden death of his wife to cancer has left him with little control of his actions and emotions. This is particularly troubling because Dustin's work as a psychologist sees him guiding patients through their own difficult situations. Without the support and better judgement of his wife, Dustin has taken a particular interest in his patient Aqil. Aqil is a former police officer who is obsessed with a series of drownings. In each instance, a young college-aged man disappears after a night of binge drinking. They turn up days later, drowned in local waterways. All of the investigative authorities have concluded that these deaths are accidental and unrelated, but Aqil has other theories. Blinded by his grief, Dustin willfully encourages Aqil to explore the case and even joins in the investigation. Is Dustin on the heels of a serial killer who has evaded any notice by the authorities, or is he simply supporting the delusions of a madman? To add to Dustin's emotional stress, we learn that his childhood was no walk in the park. Along with his twin cousins, Dustin stumbled onto the bodies of his murdered parents, aunt, and uncle. We learn that his older adopted brother, Rusty, was convicted of the crime and sentenced to life in prison. Dustin's descriptive testimony of both Rusty's abuse toward him and participation in satanic rituals played the largest role in the conviction. Now, 30 years later, Dustin receives word that Rusty has been released and exonerated of all crimes. Dustin is sure that Rusty is guilty, but he can't recall specific details of that horrific night. Has he repressed these gruesome memories from his mind? Did all of the things he testified even happen? "In the end it is the mystery that lasts and not the explanation." Ill Will is told from the shifting perspectives of various characters in the novel. While the central focus surrounds Dustin and his ironic descent into the kind of madness his profession fights against, the supporting characters are also allotted time to develop. By moving to different characters and times within the story, author Dan Chaon disorients the reader and creates a murkiness to his consistently suspenseful narrative. In a device that is as equally unique as it is satisfying, Chaon presents portions of the novel in columns. This allows different pieces of the story to unfold concurrently across perspective and time. The subject matter is extremely grim. If you are looking for a "light" read, this may not be your cup of tea. Chaon writes of sexual and emotional abuse, drug addiction, and mental breakdown with a clarity that brings the characters to vivid realization. Despite the difficult subject matter, I was immediately sucked into the story and wasn't released until the very end. Ill Will works as both thriller and character study, shedding light upon dark situations. 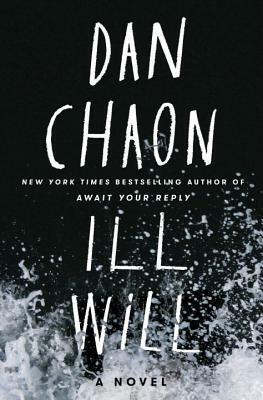 Chaon's dexterity with the material and inventive methods of presentation make Ill Will a disturbingly riveting read.